I took this photo to use as my screen saver. When I turn my computer on it will remind me of the perfect day we had wondering. I just love my cell phone with a camera. 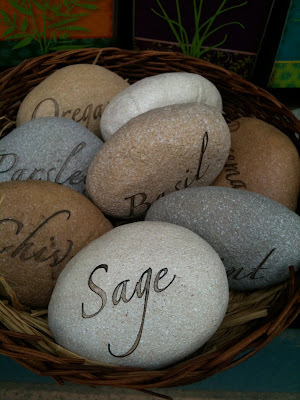 I thought this was a clever way to label your garden. How easy would that be, Just take a sharpie pen and write on a rock.... I'll try it and let you know how it goes. Love this post. 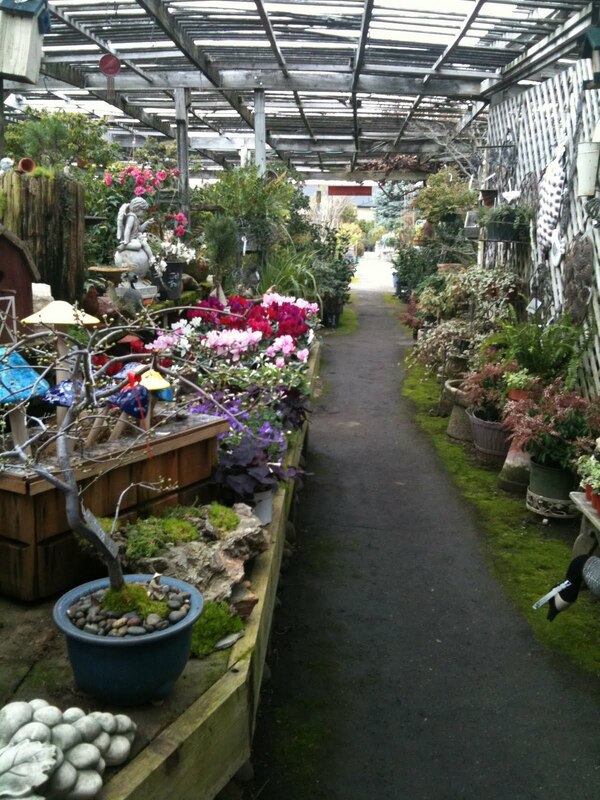 Nurseries are my favorite places to visit! 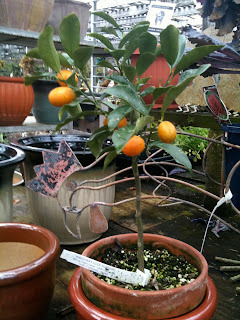 I have to go get two of those kumquat trees for my kitchen counter. One either side of the sink. I think they'd be perfect...especially because cats don't like citrus so mine will leave those alone.